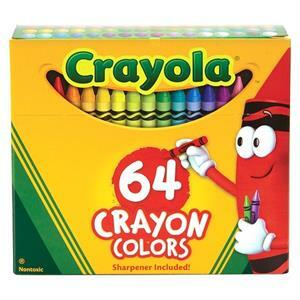 Let your kids imaginations run wild with the Crayola 64ct Crayons. Each box of crayons has the traditional colors that you need plus new fab shades. Also includes a crayon sharpener. These Crayola crayons are perfect for doodling, coloring books or drawing a masterpiece. A must have for any kid's art supplies. For ages 3 and up.